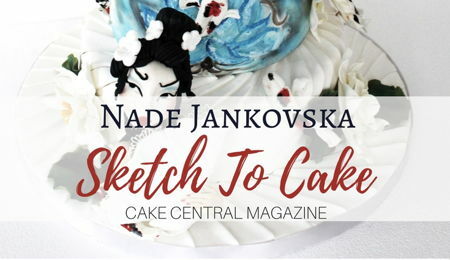 of Shani's Sweet Creations in Mendocino, California produced a delightful white holiday wedding cake for the White Christmas issue of Cake Central Magazine Volume 7 Issue 5. 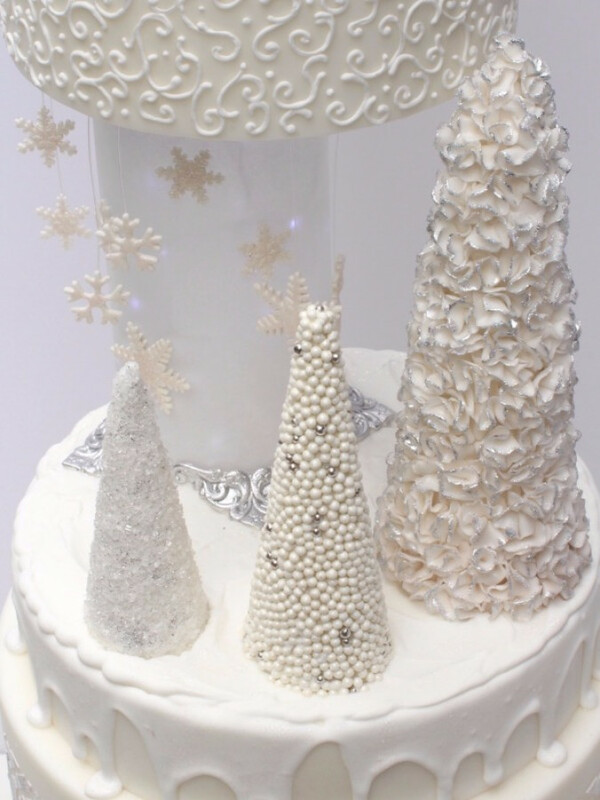 Shani’s glittering holiday wedding cake was inspired by a whimsical reindeer and falling snowflakes. The first thing my eye was drawn to with this design inspiration was the reindeer. 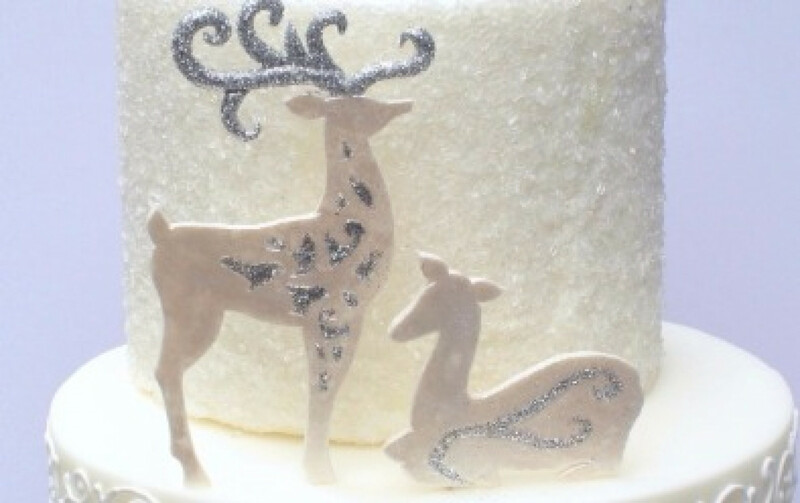 Knowing this was going to be a Christmas themed wedding cake I immediately knew I wanted to do a reindeer bride and groom topper. I also loved the whimsical feeling of this design with the snowflakes falling and knew I wanted to incorporate that feeling somehow. 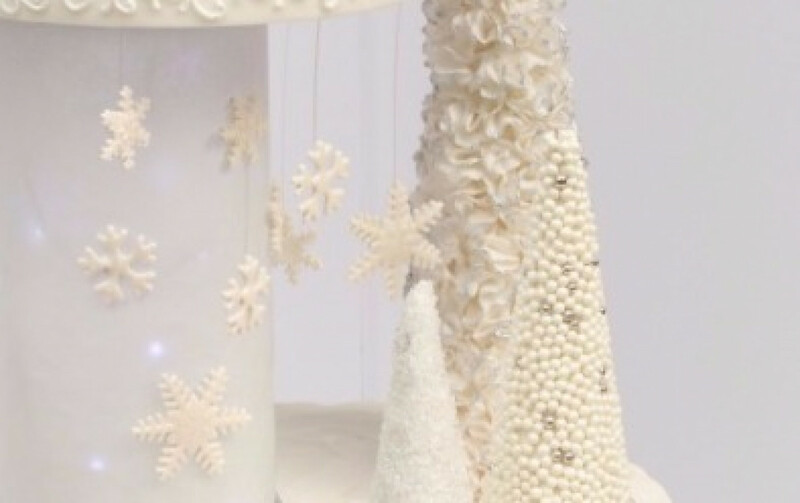 One of the requirements was that the cake be all white or almost all white. 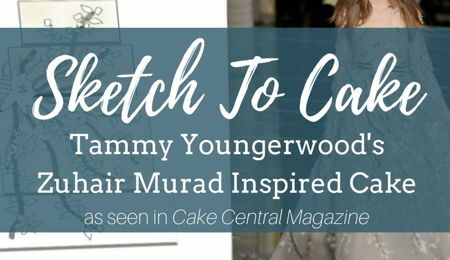 With all white cakes you have the challenge of creating visual interest without the use of a color palette. You have to rely on shapes, patterns and textures instead. 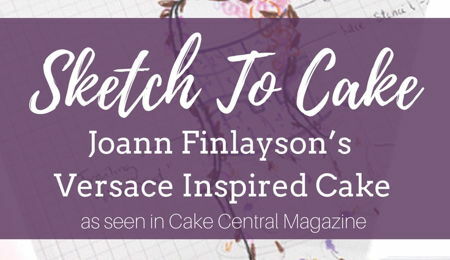 I knew I wanted to create an intricate cake, so I focused on using lots of textures and some patterns. 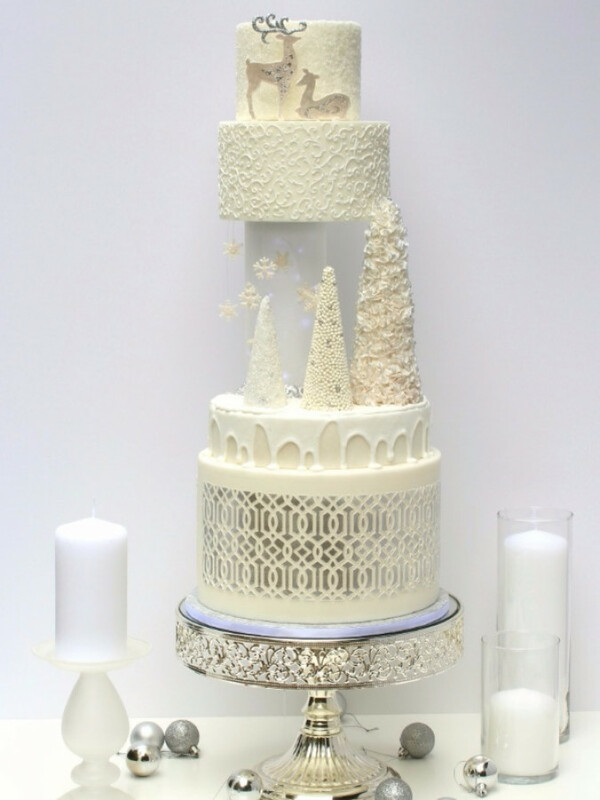 I also wanted to create an unusual, whimsical silhouette for this wedding cake, not the classic graduating tiered wedding cake, so I had the idea to use a glass vase as a riser with tiny Christmas lights inside. This allowed me to hang sparkly little snowflakes from the bottom of the tier above which gave another dimension and movement to the design. The lights help evoke a festive holiday feel. I am not strict about following my sketch. I allow myself to explore new ideas as I am working. Sometimes a really cool idea will come to me and I have to explore the possibilities. Sometimes it’s awesome and looks way better than what I had planned and sometimes it doesn’t work out at all. But I feel like I do my best work when I am open and not locked into a specific concept. Designing a cake is a very fluid process for me. I actually don’t spend a lot of time sketching and usually don’t do a very finished, fancy sketch because I often change things as I am working and the cake doesn’t always end up like the sketch. My design kind of evolves as I create so I will start with a few ideas on paper then just start working. Different designs and elements come to me as I am working and the cake evolves as I create. Things often change as I go and I’ll get new ideas in the middle of making a cake. Sometimes that means scraping some aspect I have already done. But I trust my design sense and I am not afraid to start something over if I’m not happy with it. 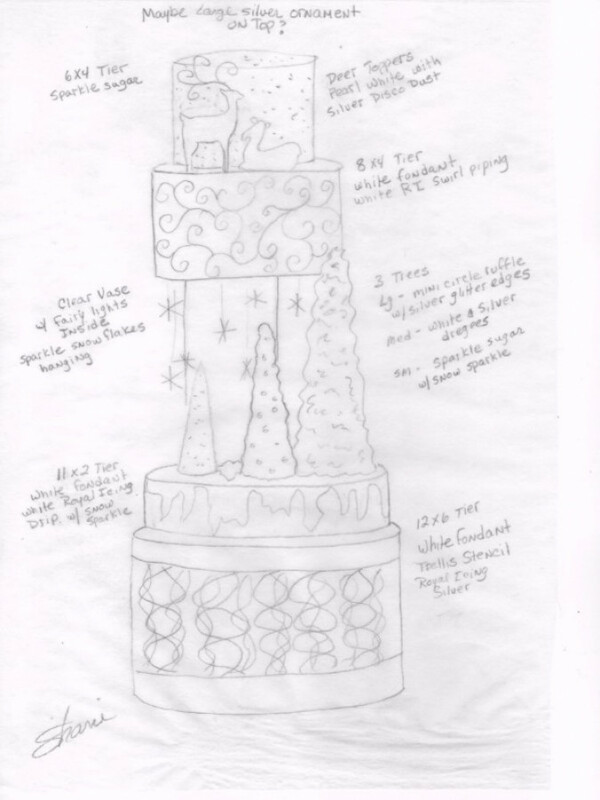 With this cake I actually didn’t even have a finished design sketch so I had to go back and make a sketch of the finished cake. 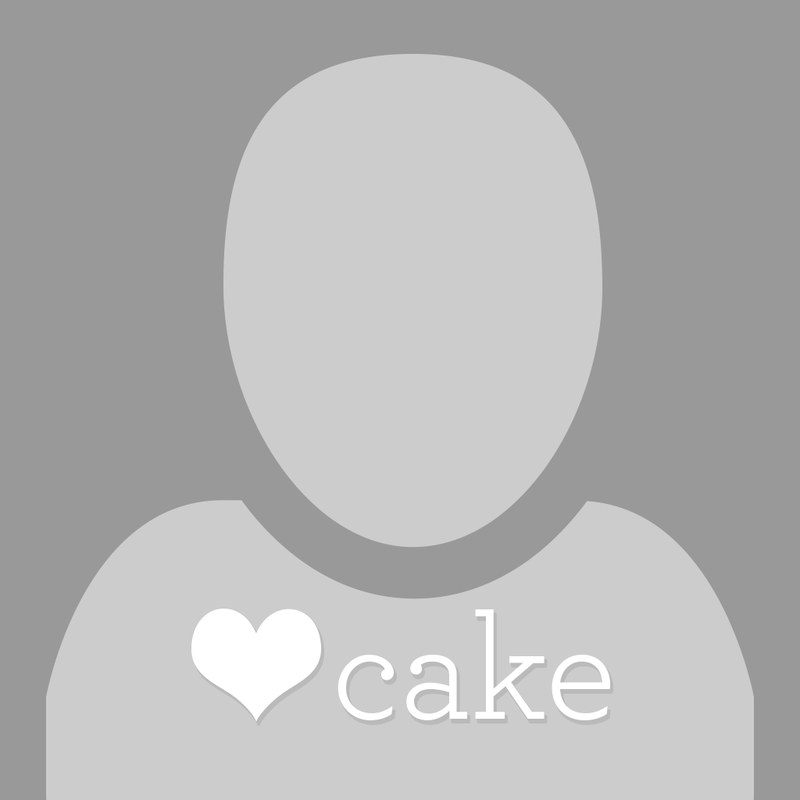 When I am designing a cake my first step is to decide on the silhouette I want by stacking cake dummies in different ways. Once I find the configuration I like I will quickly sketch out a few ideas and elements I know I want to incorporate. Sometimes I have several different ideas for one part of a cake and don’t know which one I will use until I start making the cake. There were a few struggles in creating this cake. I loved the idea of the glass vase riser with the lights inside, but when I tried it I didn’t like the way it looked. You could see the metal wires of the lights and the little LED lights were too bright and glaring. Then I had the idea to wrap the vase in a piece of tracing paper to defuse the light and hide the wires. I liked how that looked much better. The other struggle was the trees. I tried several things to make the trees with. Originally I wanted to have 3 trees with different patterns on each. I first tried wafer paper and airbrushing stencil patterns on it but I couldn’t get the clean look I was going for and after experimenting several times I decided that wasn’t the way to go. So I started exploring the idea of 3 different textures instead. It was meant to be because that turned out much better. The trees were where I had to get the most creative. I ended up making tall cone shapes out of gum paste and letting them dry for several days for the base of the trees. Then I was able to decorate them without them collapsing. The 2 smaller ones were coated in royal icing to adhere the crystal sugar and the dragees. The large tree was quite a project and took me almost a whole day. Imagine a large tier of cake with the tight ruffles over the whole thing and how long that takes. Now imagine something like that with the ruffles on a miniature scale. I did the same technique but the circles I cut for the ruffles were about 1/2”. So many tiny ruffles!! But I LOVE the way it came out. It’s my favorite part of the cake. Things always change and I just go with the flow. Sometimes I feel like the cake has a mind of its own and creates itself. Sometimes when something breaks or an idea doesn’t work I think it was meant to be because the solution to the problem turns out to be way better than the original idea. Or the piece I have to re-make turns out much better than the first one. These are the kind of projects I love. When I get to be my most creative and be able to experiment and problem solve. I feel like I do my best work when I have total creative freedom. This is stunning! Congratulations! I love the balance of elegance and whimsy! It looks like the vase support is positioned to the back side of the cakes both below and above. I'm trying to figure out how the top two layers end up securely balanced on top. It's hard to tell from the photo. 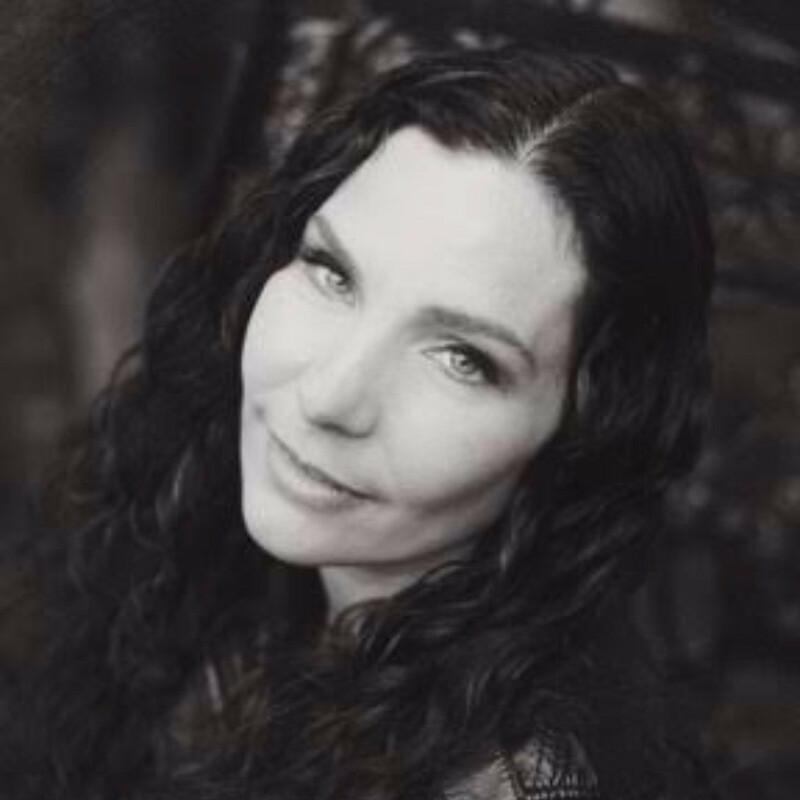 Again, beautiful!! I used this roblox hack in playing robux and i easily defeated all my roblox hack opponents in this massively multiplayer game.